A group of 20 young musicians enjoyed mentorship and studio time during Bass Camp. Photograph by Allison Seto courtesy Red Bull Content Studio. Red Bull Music Academy Bass Camp touched down this past weekend (March 13 to 17) at Studio Bell, Home of the National Music Centre (NMC). 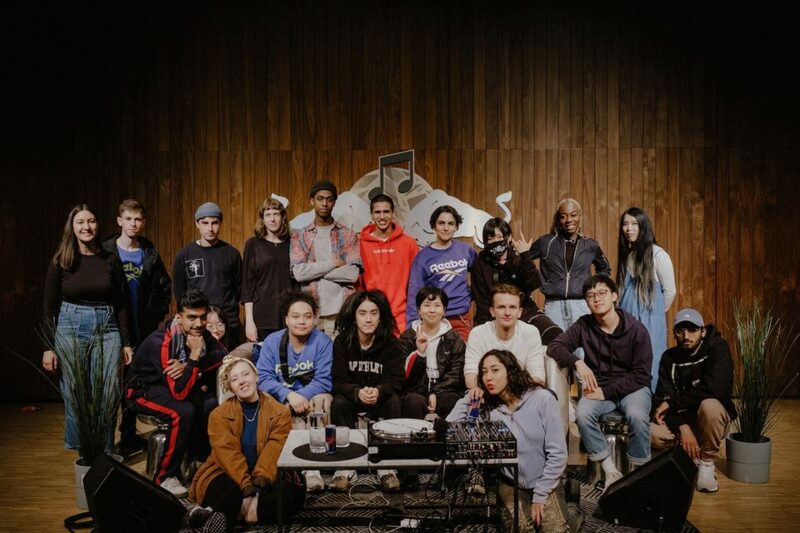 With it came a panel of guest musicians, RBMA Bass Camp veterans serving as studio mentors and 20 young musicians from across the country, including four from Alberta. Bass Camp is a division of Red Bull’s 21-year-old Music Academy initiative that began in Berlin back in 1998. More compact than the Academy’s namesake program, Bass Camp is a mentorship opportunity where developing artists from backgrounds like electronic music, hip-hop, beat-making and song craft are hand-picked, flown-in and hosted by Red Bull — with all expenses paid. The program has been hosted in cities around the world, but never before in Calgary. Adam Fox, director of programs for NMC, says it was an event nearly a decade in the making — the product of a long courtship by NMC president and CEO Andrew Mosker. “It was only a matter of time before we got together and hosted a Red Bull Music Academy event here,” says Fox. Calgarians Hounds (L) and Ashley Velvet (R). Photograph by Allison Seto courtesy Red Bull Content Studio. 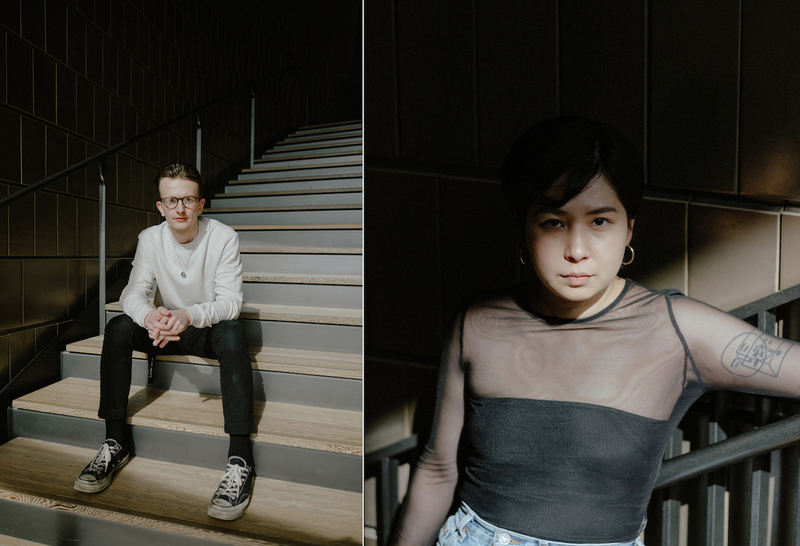 Among the 20 musicians hand-picked by Bass Camp are Calgarian electronic music producers Hounds (née Andrew LeBlanc), 22, and Ashley Velvet (who prefers to use her artistic name in publication), 23. Each has their own unique connection to the city, with LeBlanc arriving almost by chance after a semi-nomadic stint living between Halifax, Ottawa, Boston and nearby areas. He had just finished up some schooling when he got a call from his brother professing his love for his new home in Calgary. Shortly after, LeBlanc found himself on what was supposed to be a visit but soon became something else. “It was day five when he took me to Banff to see the mountains, and it was at Lake Louise that I canceled my flight home,” he recalls. Despite his excitement about the move and uncountable hours spent working on music, LeBlanc is a naturally reserved individual who didn’t immediately integrate himself into the local music scene. He excitedly attended shows, but his emergence as a performer didn’t come until he was invited by an out-of-town artist to open a show. Those collaborators are numerous, and include Hood Joplin, an Edmonton-based producer, as well as Calgarian Ashley Velvet, who moved back to the city last year after completing a certificate in jazz studies at Humber College in Toronto. “I decided that I wanted to move back to kind of create more of a name for myself in my hometown,” she says. Having left the city for college shortly before turning 18, Velvet didn’t have much opportunity to go to nightclubs and experience the city’s electronic scene for herself. Yet, she encountered a key figure from Calgary’s electronic foundation while working with studio mentor Sandro Petrillo, who helped build staple nights like Modern Math and Northern Lights before moving to Toronto in 2015. Petrillo agrees that Bass Camp’s Calgary debut is meaningful in terms of what it says about our city as a musical destination. “There’s just a little bit of a confidence boost of sorts, or some sort of legitimacy that gets added to the place that we live,” he says. L-R: Moogster, Bass Camp participant Monsune and guest panelist Swamp Dogg. Photograph by Allison Seto courtesy Red Bull Content Studio. That legitimacy doesn’t come solely from RBMA’s reputation as a star-making opportunity for young artists, but also the guests it attracts to share wisdom during the event. 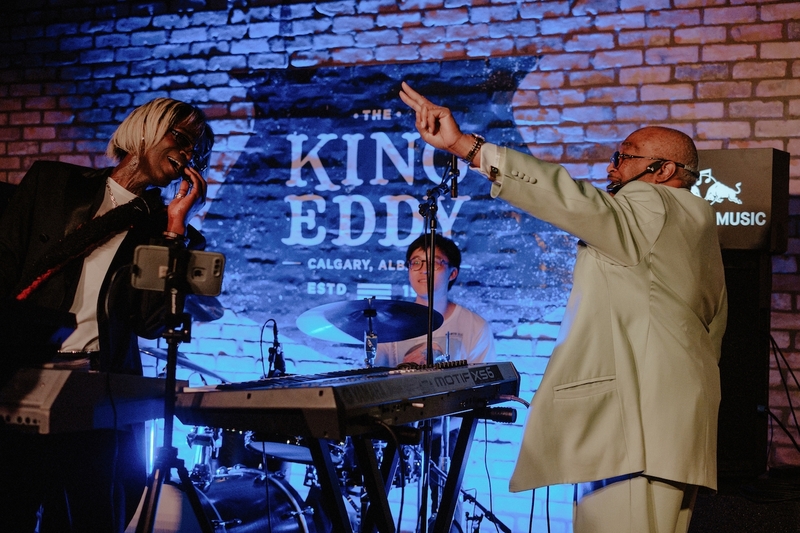 Each day of Bass Camp had a workshop and lecture by invited mentors, including 2017 Polaris Prize winner Lido Pimienta, solo artist and LCD Soundsystem member Gavin Rayna Russom and blues veteran Swamp Dogg, who performed with members of Bass Camp on Saturday, March 16 at the King Eddy. While all involved spoke to Avenue after a series of late nights in the midst of a whirlwind weekend, there were two things on which they all coherently agreed—the National Music Centre’s facilities were a playground for creativity and the best part of the event was getting to work with one another. Head to Soundcloud to hear music by Ashley Velvet and Hounds. Studio Bell, Home of the National Music Centre, is open Wednesday through Sunday. Find out what’s on inside right here.